The date has been set! It’s official! Mark your calendars! 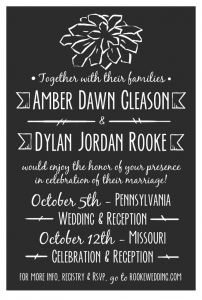 Go to www.rookewedding.com for more information and to rsvp.